In this tutorial you are going to learn how to delete google quick search history which is a valuable step to take when protecting your privacy online. Start Google Chrome. 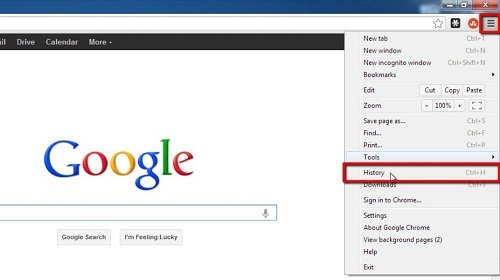 In order to learn how to delete google quick search history you will have to know how to remove the browsing history in Chrome. Click on the icon that looks like three verticle lines in the top right corner of the browser. In the menu that appears click “History”. This will open the “History” tab. 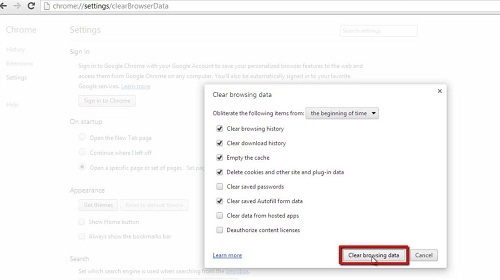 Click the “Clear all browsing data…” button. Set the drop down box at the top to “the beginning of time” and then select the top four check boxes as well as “Clear saved Autofill form data”. Finally, click the “Clear browsing data” button. This will remove all the history from your browser, including your quick search history.